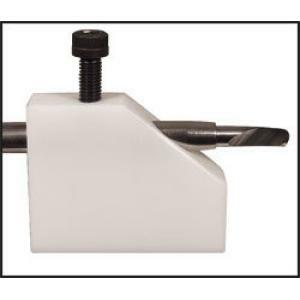 This jig makes sharpening the Berger Hollowing tool much easier when using a bench grinder. Made of nylon, this jig holds the tool securely and provides a surface to sit securely on the grinder tool rest. For use with the Berger Hollowing Tool. Instructions are included. Berger tool not included. Click the button below to add the Soren Berger Sharpening Jig - A1 to your wish list.